Our Secure On-line DBS application service is designed to help companies and organisations to carry out Disclosure checks (DBS Disclosures) and to provide You with up-to-date DBS information in order that You can make informed recruitment decisions based upon the DBS checks, (DBS checks), on the suitability of staff and to provide greater protection for children and vulnerable adults. You have found us because You are looking for a way to manage Your recruitment risk. 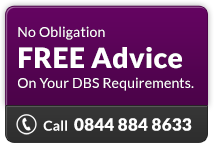 HRBC offers You a full range of DBS checks which are designed to help You make quicker and more informed recruitment decisions. Human Resource Background Checks (HRBC) is a Registered Umbrella Body with the Disclosure and Barring Service (DBS), this enables us to offer the Disclosure service to our clients. To use our services all organisations must enter into an agreement with us to ensure the Disclosure code of practice is upheld to protect individuals applying for a Disclosure. In order to meet the DBS aim of protecting the vulnerable there are two levels of checking designed to safeguard jobs or posts that involve working with children or vulnerable adults. These are designated Standard and Enhanced Disclosures. The Rehabilitation of Offenders Act gives individuals the right not to disclose details of 'spent' offences if asked about their criminal record. However, for certain excepted professions, offices and employments, employers are allowed to ask about these offences - this is the entitlement to ask an 'exempted question'. Positions involving working with children are one of these exemptions.